Tennis fans can check their email at the U.S. Open thanks to San Diego’s EdgeWave, which for the seventh year is providing mobile Internet access for fans, media and athletes at the championships. EdgeWave, a cybersecurity firm based in Rancho Bernardo, and the U.S. Tennis Association have partnered to provide secure mobile Internet access to more than 750,000 people at the USTA Billie Jean King National Tennis Center in Flushing Meadows, NY. “In years past many major sporting events sought to keep people off of data networks, but the U.S. Open has truly embraced the connected experience. 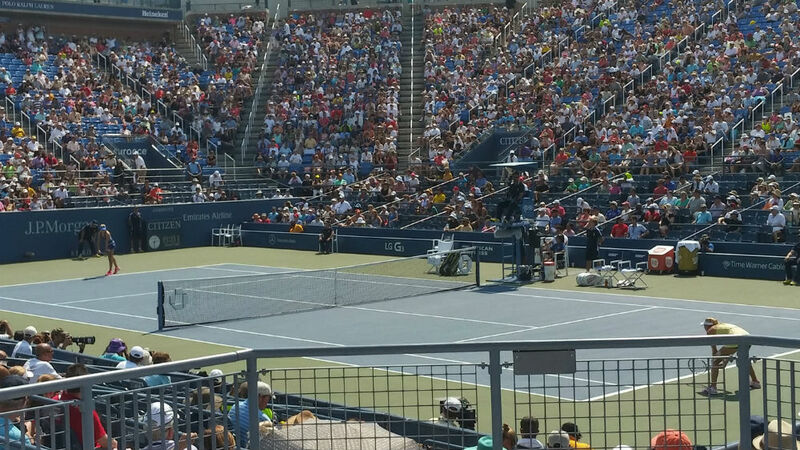 Whether its fans posting to social media networks or sponsors using Wi-Fi devices for on-site marketing, more people and devices at the U.S. Open means more demand and strain on our networks which need to be more secure than ever,” said USTA CIO Larry Bonfante. The USTA is using EdgeWave’s technology to provide Internet policy enforcement during the two-week tournament, keeping the network secure by blocking users from accessing undesirable content, such as online gambling sites, and keeping users safe from data breaches and attacks. During the 2013 U.S. Open, EdgeWave managed 4.5 terabytes of data to over 210,000 connections. EdgeWave also provides on-site network security for other professional sports organizations including the Detroit Tigers’ Comerica Park in Detroit.